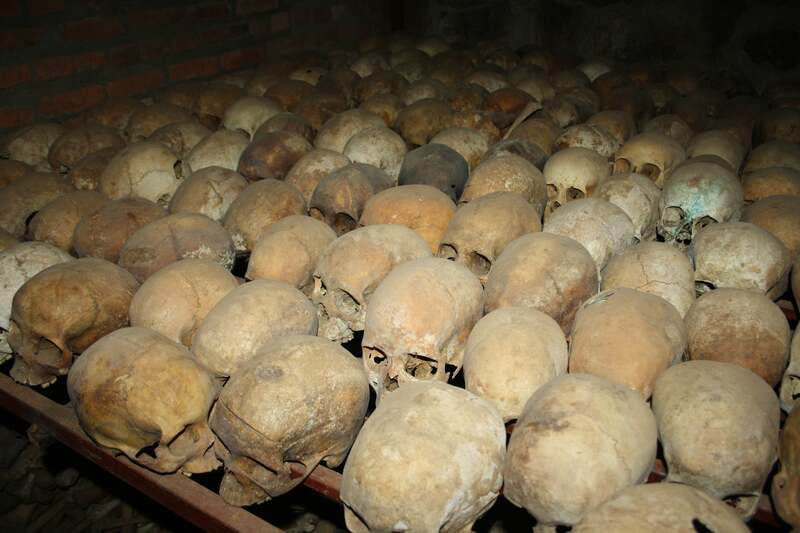 Four mass graves filled with victims from the Rwandan genocide have been found nearly 24 years after the tragedy. According to local news outlets, the first group, an estimated total 2,000 bodies, was found on Sunday. The graves were discovered near the capital of Kigali, close to the Kigali Genocide Memorial where some 250,000 victims were brought to be buried, NPR reports. This discovery could be the most significant since the genocide took place, the Associated Press notes. The graves were found after a local landlord, who at first refused to answer questions about the suspected mass graves, was threatened with jail time. In order for the site to be excavated, a number of houses had to be destroyed. The Hutu-controlled Rwandan government and allied militias slaughtered between 800,000 and one million Tutsis before a rebel group overthrew them. More than 100,000 Hutus were also killed. At least 207 bodies have been already exhumed from one of the graves and 156 have been exhumed from another, the AP reports, adding that some of the bodies include babies. Many Rwandans showed up to the site in an effort to attempt to identify missing family members. They expressed shock that their neighbors might have known about the mass graves for years without saying a word. “It is very disturbing that every now and then mass graves are discovered of which the now-free perpetrators never bothered to reveal to bereaved families so that they can get closure,” the daily newspaper The New Times said in an editorial this week. “Definitely some very cruel people still live in our midst,” it added.